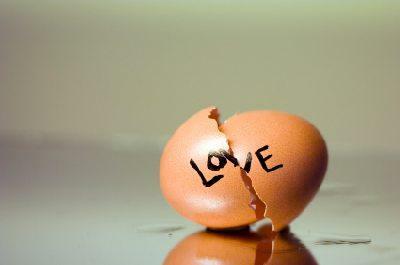 Read love poems about breaking up. When love is lost, sometimes the most comforting thing to do is read breakup quotes. To have expressed so well the feelings you are having can help you to come to grips with your own emotions. Other times, it's just really nice to know that you aren't the only person who has felt heartbreak after a relationship ends. This can also be encouraging as well, as you read the thoughts of people who have broken up, survived it, and have moved on. There are many breakup quotes out there, so to ease finding what you are looking for, the quotes presented here are grouped by category. Whenever possible, credit is given to the person who wrote or said the quote. Let's start with some quotes that express how much it hurts to breakup. You don't die from a broken heart - you only wish you did. Understanding the nature of love and breakups won't take the pain away, especially if you were rudely dumped, but they can help you to realize that your feelings have been shared by others. Here are some good breakup quotes that offer a wider perspective. You don't realize how much you care about someone until they don't care about you. The funny thing about breakups is they point out what we didn't even know we had, but don't give us the option of going back into battle armed with that knowledge. Once the initial pain begins to subside, the best thing to do is begin to look toward the future and to move on. Here are some breakup quotes to help you do just that. I'm going to smile and make you think I'm happy, I'm going to laugh, so you don't see me cry, I'm going to let you go in style, and even if it kills me… I'm going to smile. If someone you love hurts you - cry a river, build a bridge, and get over it. No matter who broke your heart, or how long it takes to heal, you'll never get through it without your friends. You can't ever let go of all the feelings, but you need to let go of him.